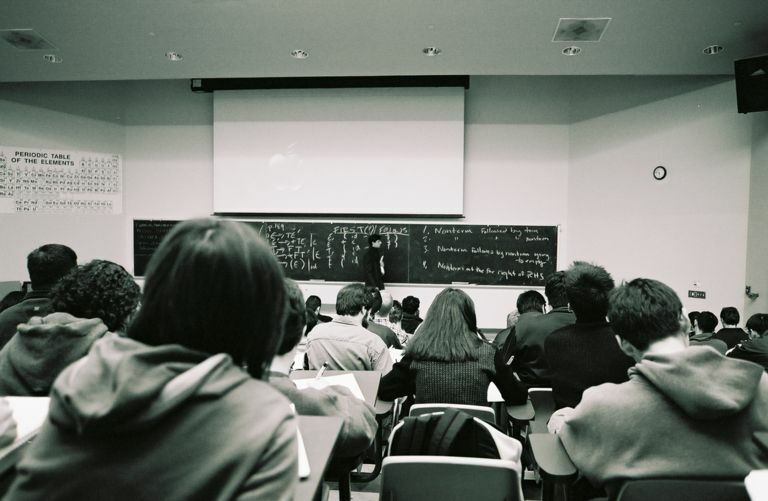 Photograph of me lecturing at the blackboard (credit: R. Benjamin Shapiro, 2002). I lead applied research and development in computer security at the Berkeley Lab and UC Davis. I am also chief cybersecurity strategist for CENIC, and Senior Fellow at the Berkeley Institute for Data Science (BIDS), chair of the IEEE Technical Committee on Security & Privacy, and associate editor-in-chief of IEEE Security & Privacy. These days, my current focus is research and development of security and privacy techniques that enable the secure use of distributed, high-performance and cloud computing resources to conduct scientific research, and improve the secure functioning of power grid control systems. In the past, I have worked on areas including intrusion detection, computer forensics, insider threats, vulnerability analysis, elections, and security metrics. I also teach and advise grad students. I occasionally do some consulting. I was the General Chair of the 36th IEEE Symposium on Security and Privacy ("Oakland"). I received my Ph.D., Masters and Bachelors degrees in Computer Science from the University of California, San Diego (UCSD). A longer bio is here and a slightly outdated one is in the Berkeley Lab Expert's Guide. November 2018: Congratulations to Dr. Sisi Duan and Dr. Haibin Zhang on their terrific BEAT approach to asynchronous BFT published in CCS'18! November 2017: Congratulations to Dr. Adrian Chavez on finishing his dissertation! May 2017: Congratulations to Dr. Bogdan Copos on finishing his dissertation, and his new position as a research scientist at SRI International! May 2017: Congratulations to Dr. Jonathan Ganz on finishing his dissertation, and his new position at Cloudflare! April 2017: Congratulations to Dr. Sisi Duan on her new position as an Assistant Professor at University of Maryland, Baltimore County! April 2017: Congratulations to Dr. Sophie Engle on her promotion to Associate Professor with Tenure at University of San Francisco! "The Medical Science DMZ: An Network Design Pattern for Data-Intensive Medical Science," Sean Peisert, Eli Dart, William K. Barnett, James Cuff, Robert L. Grossman, Edward Balas, Ari Berman, Anurag Shankar, and Brian Tierney, Journal of the American Medical Informatics Association (JAMIA), published 06 October 2017. "Security in High-Performance Computing Environments," Sean Peisert, Communications of the ACM (CACM), 60(9) 72–80, September 2017. "Open Science Cyber Risk Profile," Sean Peisert, Von Welch, Andrew Adams, Michael Dopheide, Susan Sons, RuthAnne Bevier, Rich LeDuc, Pascal Meunier, Stephen Schwab, and Karen Stocks, Ilkay Altintas, James Cuff, Reagan Moore, and Warren Raquel, February 2017. "The Medical Science DMZ," Sean Peisert, William Barnett, Eli Dart, James Cuff, Robert L. Grossman, Edward Balas, Ari Berman, Anurag Shankar, and Brian Tierney, Journal of the American Medical Informatics Association (JAMIA), 23(6), Nov. 1, 2016. ASCR Cybersecurity for Scientific Computing Integrity — Research Pathways and Ideas, Sean Peisert, et al., U.S. Department of Energy Office of Science report, LBNL-191105, September, 2015. ASCR Cybersecurity for Scientific Computing Integrity, Sean Peisert, et al., U.S. Department of Energy Office of Science report, LBNL-6953E, February, 2015. "Micro Synchrophasor-Based Intrusion Detection in Automated Distribution Systems: Towards Critical Infrastructure Security," Mahdi Jamei, Emma Stewart, Sean Peisert, Anna Scaglione, Chuck McParland, Ciaran Roberts, and Alex McEachern, IEEE Internet Computing, 20(5):18–27, Sept./Oct. 2016. "Monitoring Security of Networked Control Systems: It's the Physics," Chuck McParland, Sean Peisert, and Anna Scaglione, IEEE Security and Privacy,12(6):32–39, November/December 2014. A Model of Owner Controlled, Full-Provenance, Non-Persistent, High-Availability Information Sharing," Sean Peisert, Matt Bishop, and Ed Talbot, Proceedings of the 2017 New Security Paradigms Workshop (NSPW), Santa Cruz, CA, October 2–4, 2017. "Principles of Authentication," Sean Peisert, Ed Talbot, and Tom Kroeger, Proceedings of the 2013 New Security Paradigms Workshop (NSPW), pp. 47–56, September 9–12, 2013. "Turtles All the Way Down: A Clean-Slate, Ground-Up, First-Principles Approach to Secure Systems," Sean Peisert, Ed Talbot, and Matt Bishop, Proceedings of the 2012 New Security Paradigms Workshop (NSPW), pp. 15–26, September 19–21, 2012. "BChain: Byzantine Replication with High Throughput and Embedded Reconfiguration," Sisi Duan, Hein Meling, Sean Peisert, and Haibin Zhang, Proceedings of the 18th International Conference on Principles of Distributed Systems (OPODIS), pp. 91–106, December 15–19, 2014. "How to Design Computer Security Experiments," Sean Peisert and Matt Bishop, Proceedings of the Fifth World Conference on Information Security Education (WISE), pp. 141–148, June 2007. "Computer Forensics In Forensis", Sean Peisert, Matt Bishop, and Keith Marzullo, Proceedings of the Third International IEEE Workshop on Systematic Approaches to Digital Forensic Engineering (IEEE/SADFE-2008), pp. 102–122, May 2008. "Analysis of Computer Intrusions Using Sequences of Function Calls," Sean Peisert, Matt Bishop, Sidney Karin, and Keith Marzullo, IEEE Transactions on Dependable and Secure Computing (TDSC), 4(2), pp. 137–150, April-June 2007. "Toward Models for Forensic Analysis," Sean Peisert, Matt Bishop, Sidney Karin, and Keith Marzullo, Proceedings of the Second International Workshop on Systematic Approaches to Digital Forensic Engineering (SADFE), pp. 3–15, April 2007. "Principles-Driven Forensic Analysis," Sean Peisert, Matt Bishop, Sidney Karin, and Keith Marzullo, Proceedings of the 2005 New Security Paradigms Workshop (NSPW), pp. 85–93, September 2005. "The fact that you are not sure means that it is possible that there is another way someday."